On the workbench today is the Arlington White Shaker Cabinet, courtesy of RTAcabinetstore.com. 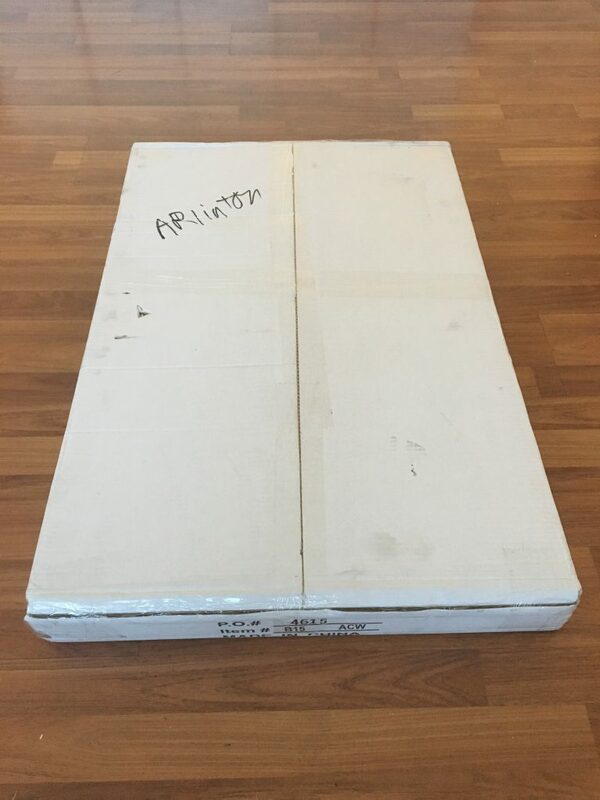 Arriving in just 4 days, the Arlington’s shipping time fell well within the allotted time advertised on RTA Cabinet Store’s website. 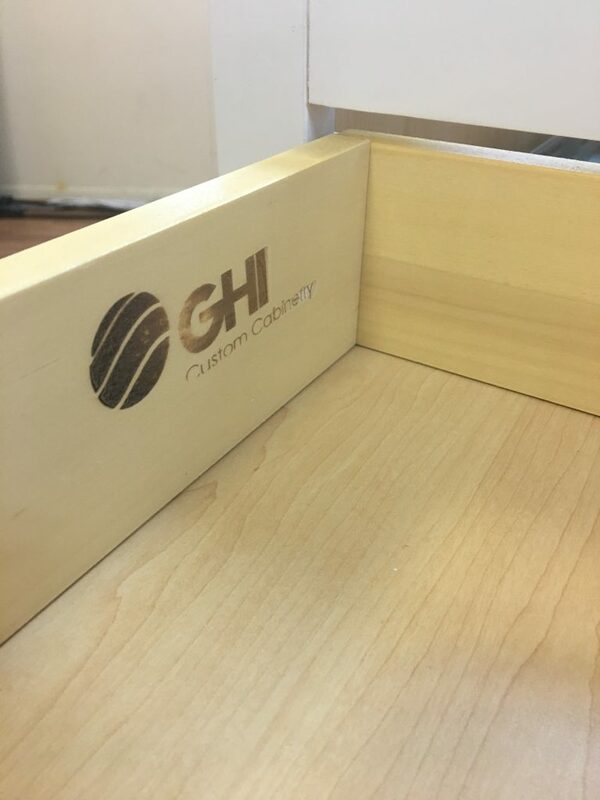 Also to be noted: when unpacking this cabinet, one of the first things of which to take notice of is the GHI Custom Cabinetry logo on the inside of the drawer box side panel (Picture 1, above). This company has been selling cabinets and vanities since the early 2000’s, but only recently have RTA style cabinets become popular so the jury is still out on the quality of GHI Custom Cabinetry’s build. Let’s take a closer look at the Arlington White Shaker, manufactured by GHI in China and distributed by RTAcabinetstore.com, and see where it falls on our gradation scale. The door’s frame is constructed from a maple wood, with the cabinet frame being composed of a similar hardwood likely being birch. 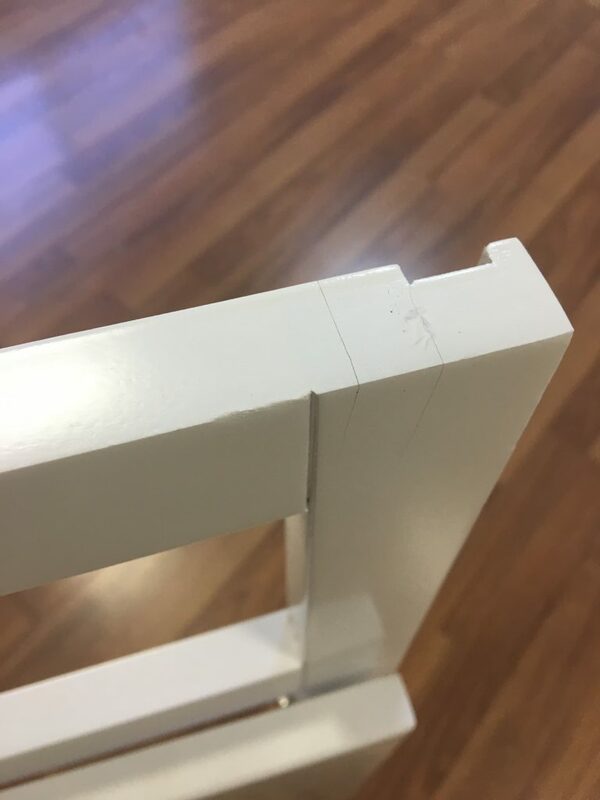 This difference in the type of woods utilized in the construction of the door frame and the cabinet frame is likely the reason why there are visible cracks in the finish of the cabinet frame and none seen on the door of the unit. Vertical grooves accentuate the cabinet frame (Picture 4–right), a decorative choice which doesn’t affect the quality of the frame or wood. 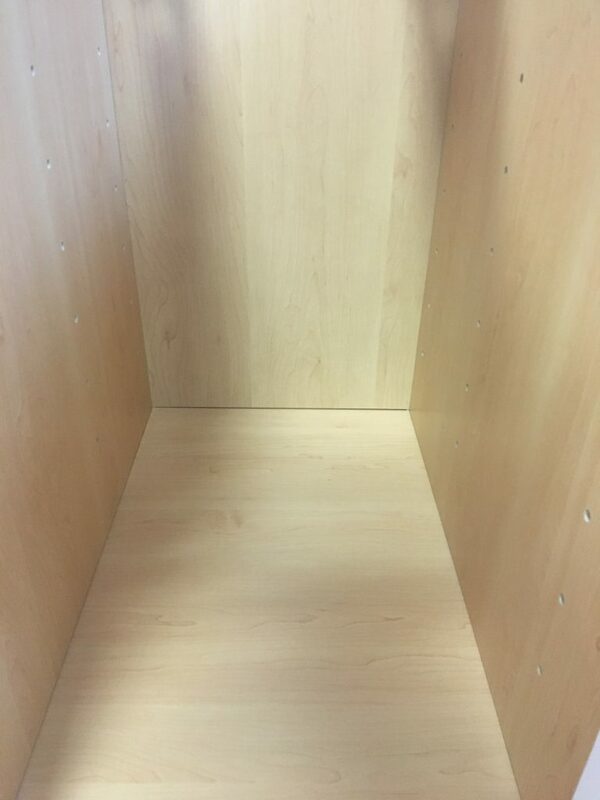 I can be safely assumed that these cabinet frames are produced on a large scale and utilized in several varieties of White Shaker from the manufacturer. Overall this is a solid, dependable door, drawer face, and cabinet frame durable in build and constructed from quality material. 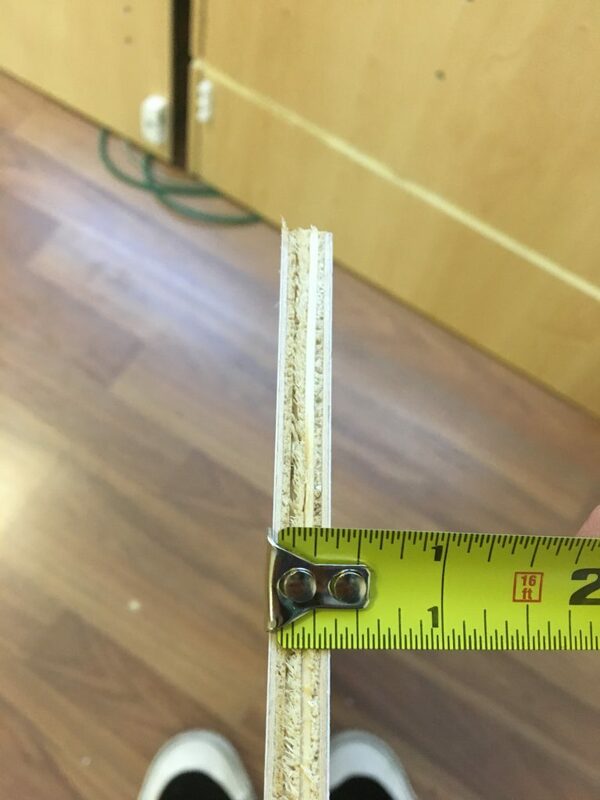 The finish on the door of the Arlington is, for the most part, evenly applied and thick across the surface of the maple and HDF on both the interior and exterior (Pictures 5, 6—below: top left and right). 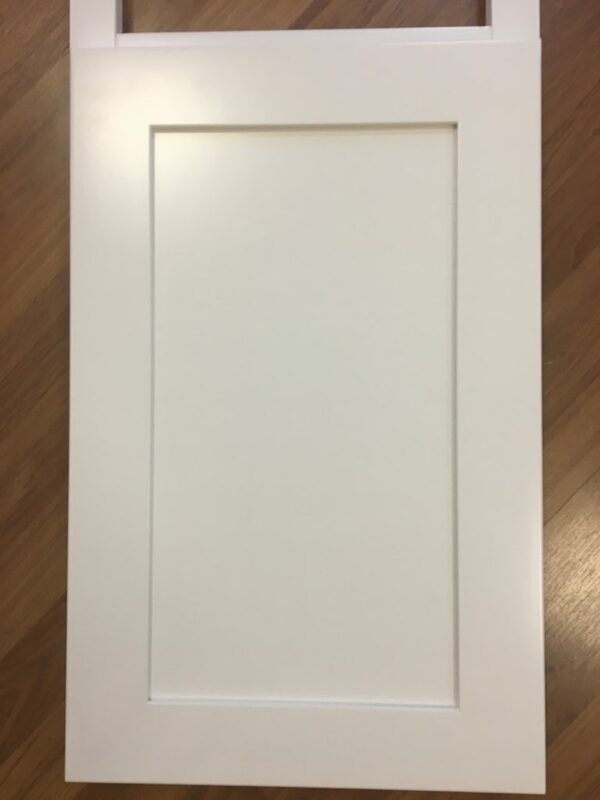 With a smooth, matte finish that captures light without blinding an observer on both the face as well as the interior of the door, this finish is one of the nicer ones I’ve reviewed on the site. The only inconsistencies I have come across are found along the top of the frame (Pictures 7, 8—below: bottom left, right) and in the bottom left corner (Picture 9—below). 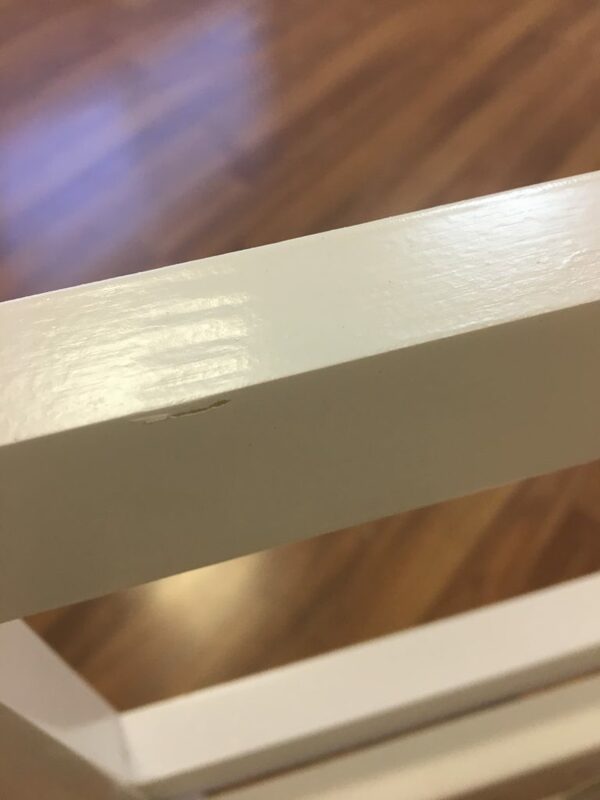 While the quality of the finish on the door is undeniable, the finish on the frame, unfortunately, brings the score down some points. Slick and smooth to the touch, the interior laminate finish on the Arlington is nice but a thin stained veneer. 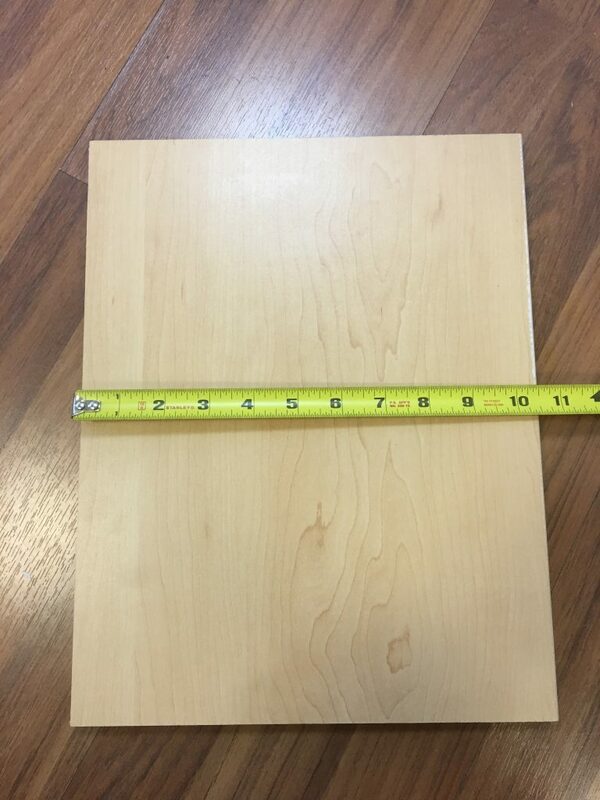 On the side panels, back panel, and bottom panel can the stain be laminate finish be found consistently applied across all surfaces and are non-matching to the exterior white (Picture 10–below). 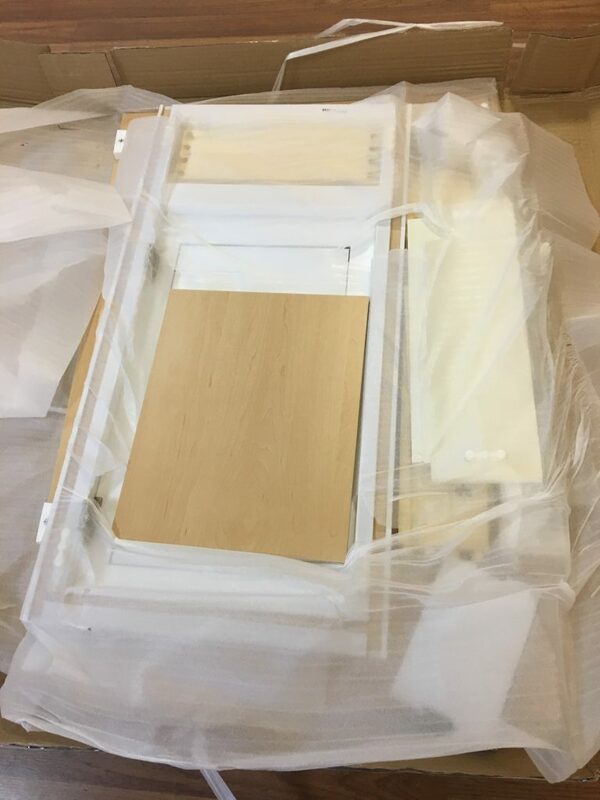 The exterior of the cabinet box, including the toe kick, are stained to match the paint finish on the frame, door, and drawer face of the unit. Here is where I begin to run into some issues with the Arlington. 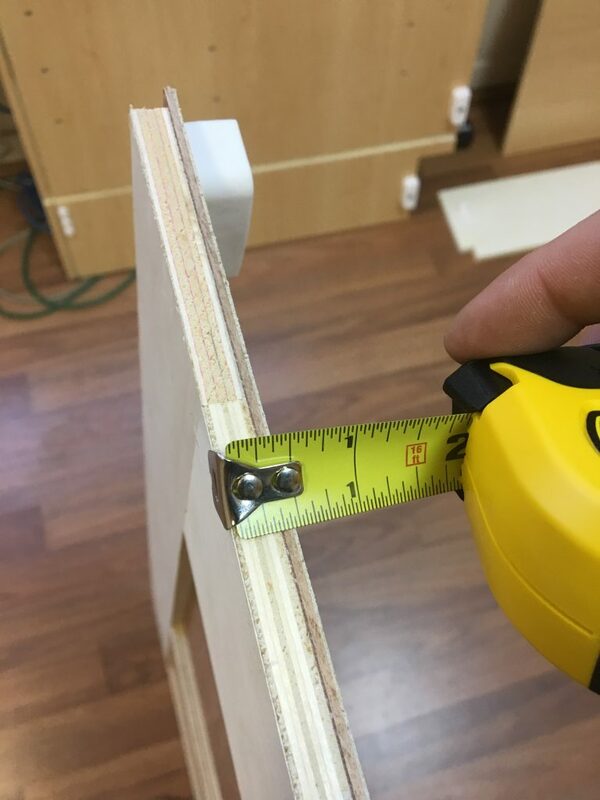 Measuring at ½ inch in thickness, the quality of the plywood used for the side panels, back panel, and bottom panel of the box exhibit some perceptible discrepancies (Pictures 11, 12). 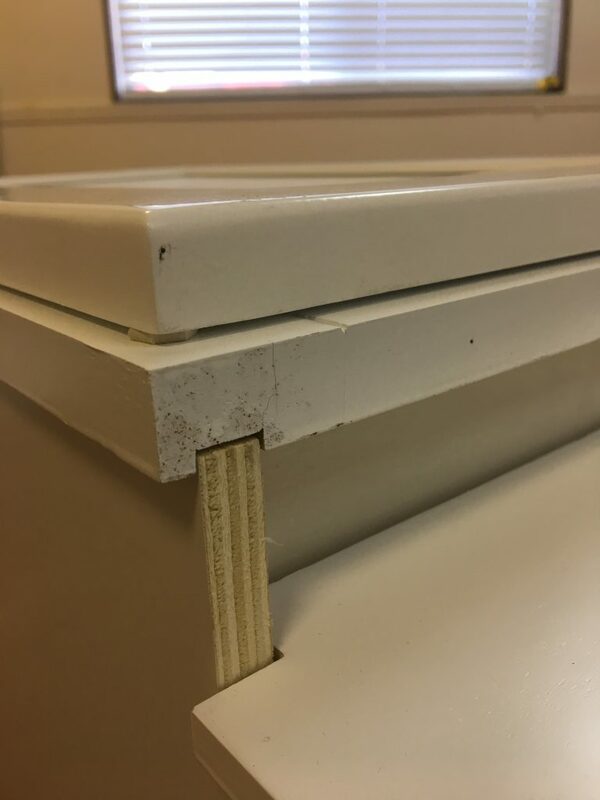 The back panel, as per industry standard, is a picture-frame recess panel also measuring ½ inch in thickness (Pictures 13 and 14). 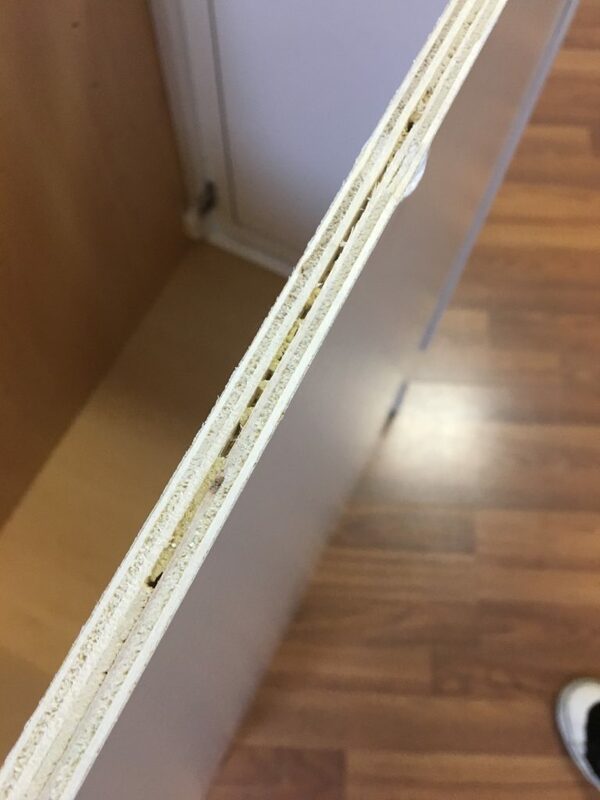 Where the Arlington comes up truly lacking is the bottom panel’s thickness measures a mere 3/8 inches (Picture 15–below), and paired with the shoddy quality plywood, gives me major doubts concerning the ability of this bottom panel to adequately support items stored in the box. 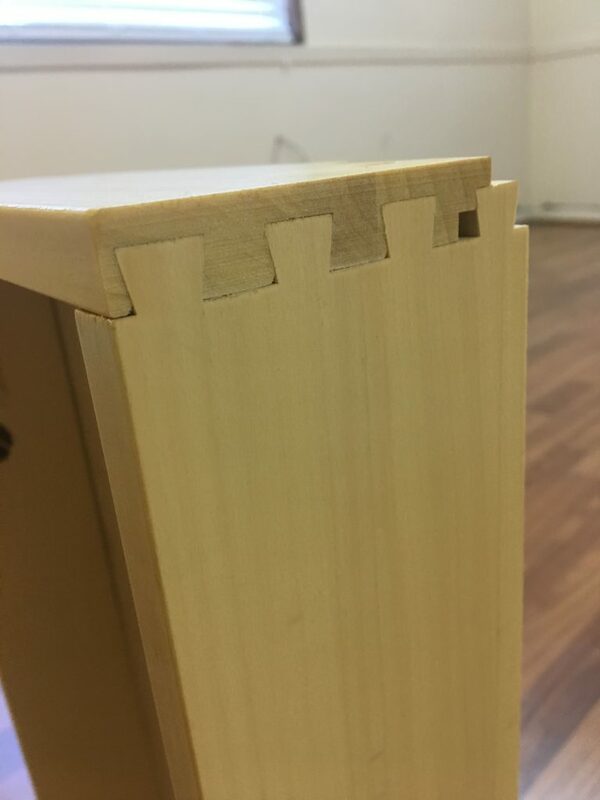 Another frustrating attribute of this box that illustrates the quality of the cabinet is the difficulty in arranging the side panels, bottom, and back panels properly in the tongue and groove joints. 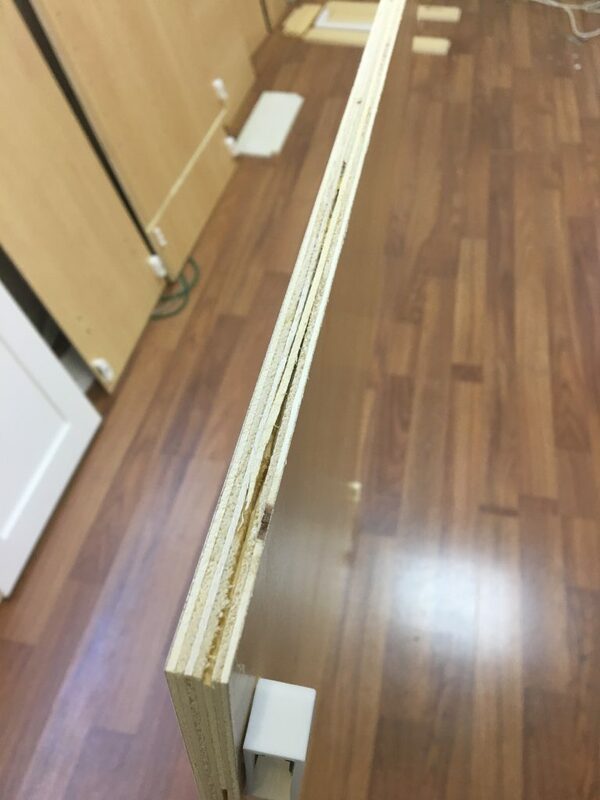 The side panels are slightly warped (a flagrant sign of the quality of plywood) and end up leaving a ¼ inch gap at the back of the cabinet between the back and sides (Picture 16). 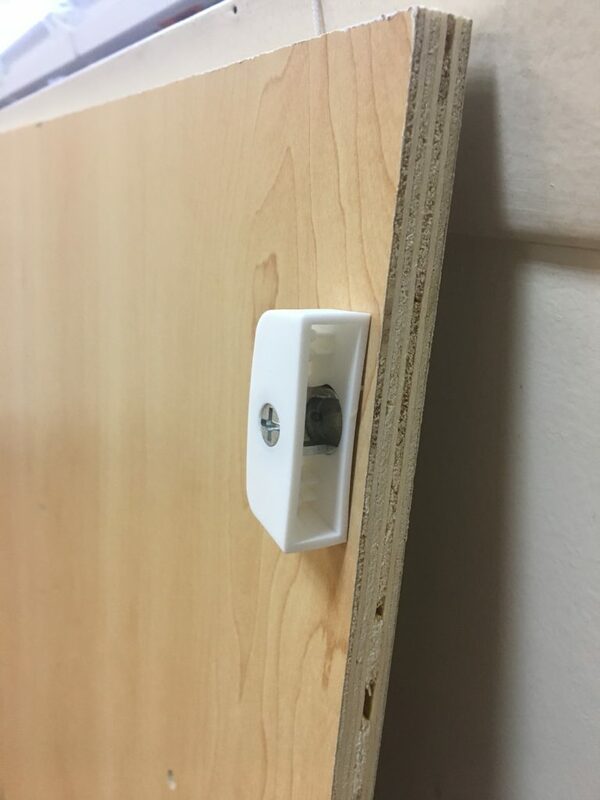 Although this gap will not be visible once the unit is installed, I would highly recommend applying wood glue and clamps to these gaps to ensure added stability. 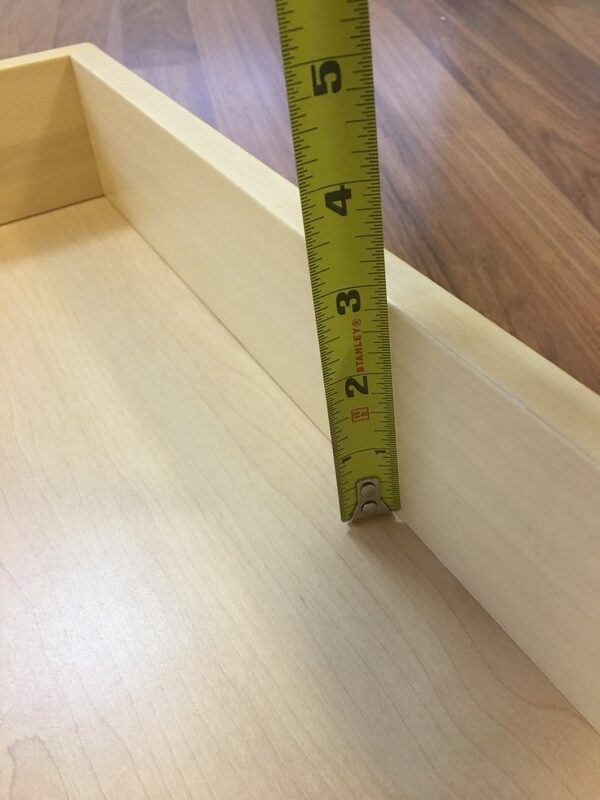 While the Arlington’s cabinet quality is substandard, the drawer box is well-fabricated and impressive. 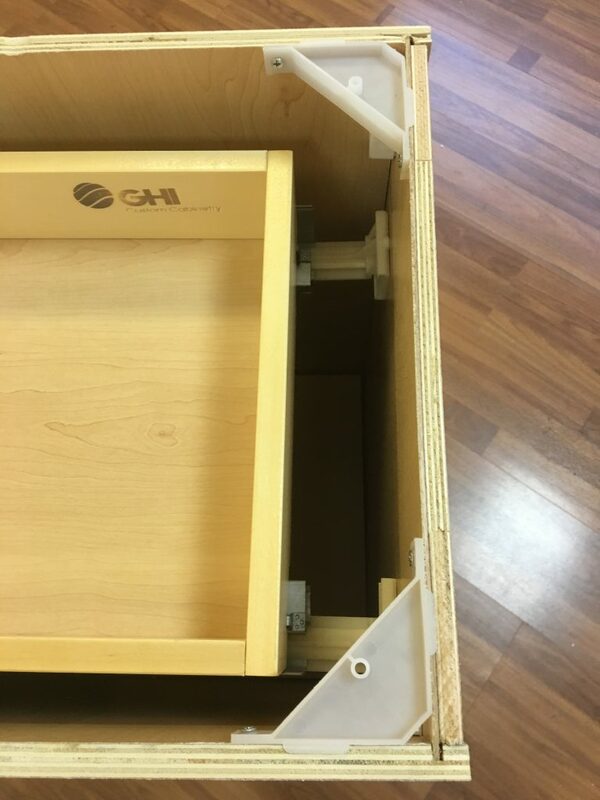 I am curious if the GHI Custom Cabinetry logo seen on the inside side panel of the drawer box indicates that only the drawer is from this particular manufacturer. 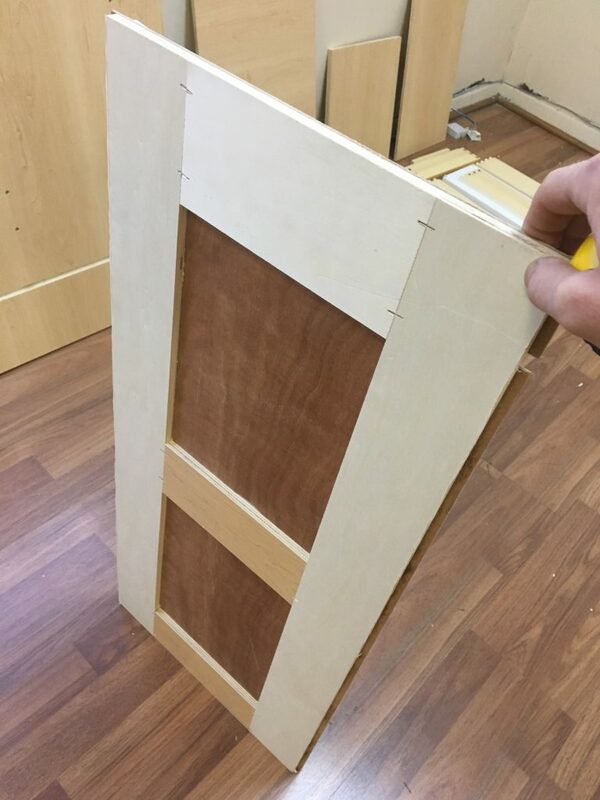 Regardless, the drawer face arrives pre-attached to the front of the box which decreases assembly time and prevents any damage being done to the drawer face in the assembly process. 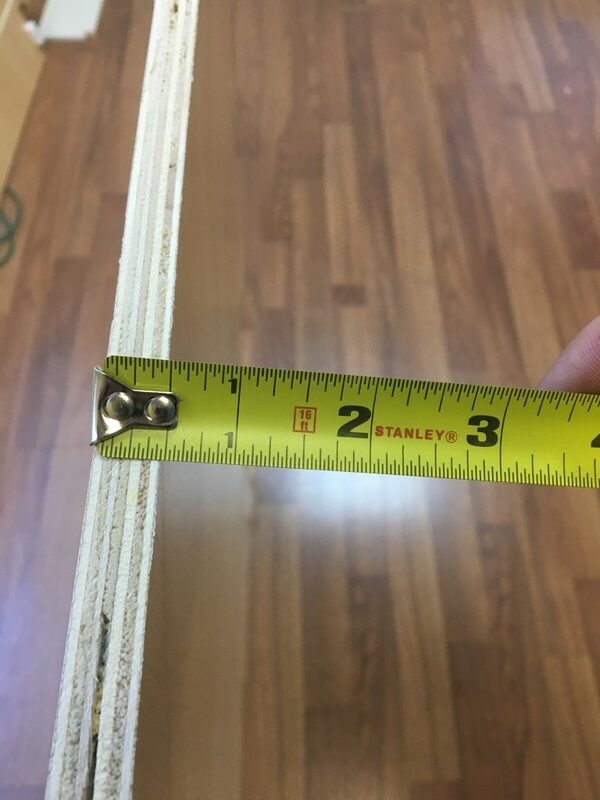 With the bottom panel, I find higher quality plywood than the cabinet box and an industry standard thickness of 3/8 inches (Picture 17). The cuts in the dovetailing on the drawer box are clean and fit together purposefully, leaving zero wiggles to the structure (Picture 18). 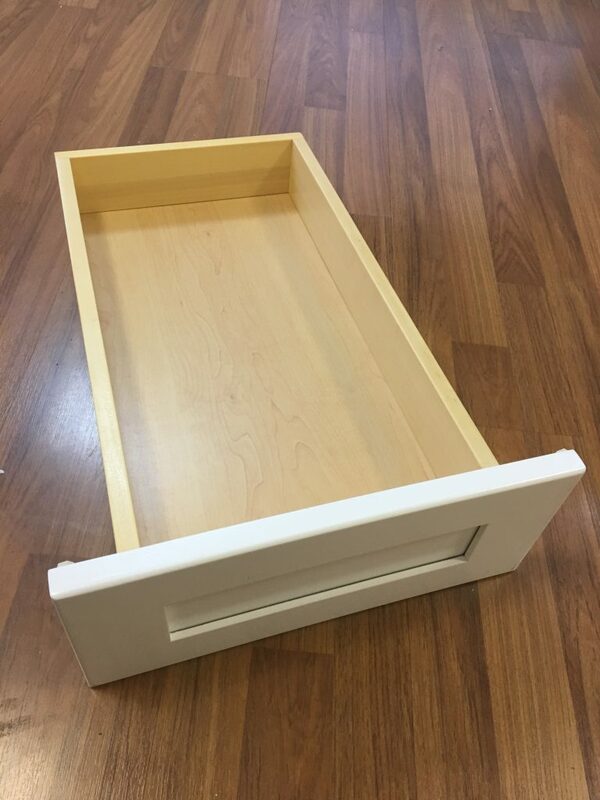 Thick side panels and composed of a high-quality hardwood, the drawer box of the Arlington White Shaker is top-notch (Picture 19). 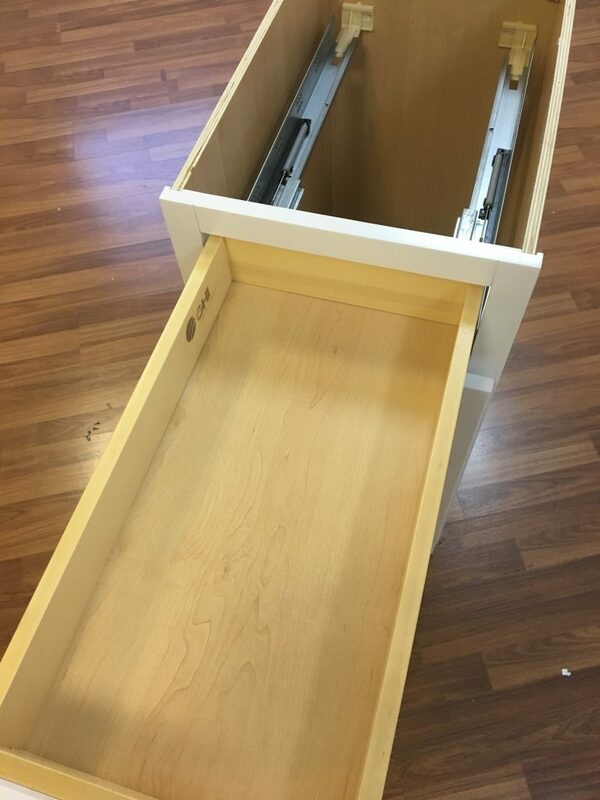 Measuring just shy of the standard 3-inch depth, the well-constructed drawer box still touts a full extension drawer complete with soft-close mechanisms (Pictures 20–left; 21–right). 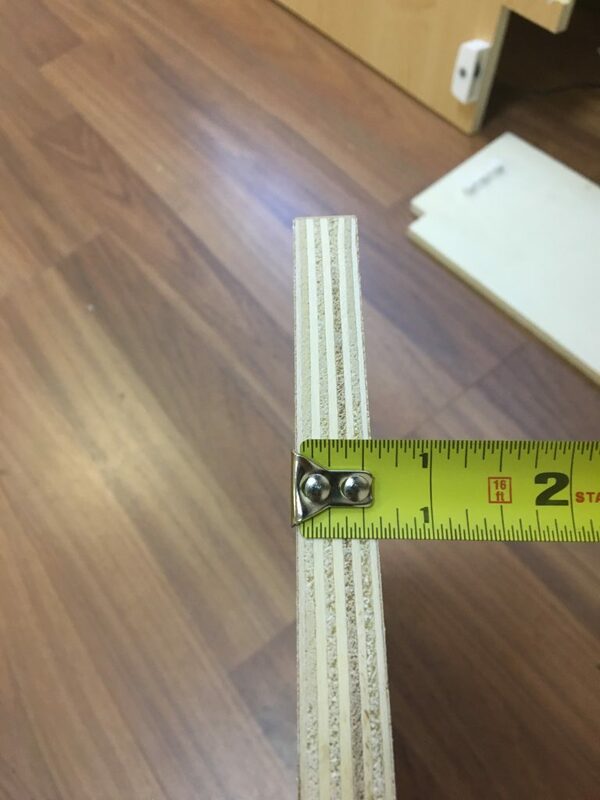 The cabinet’s box shelf is a nice 5/8 inches thick but unfortunately measures only 10 ½ inches in length, making it a floating shelf offering less than half of the box’s total depth for storage (Pictures 22, 23, 24– below). 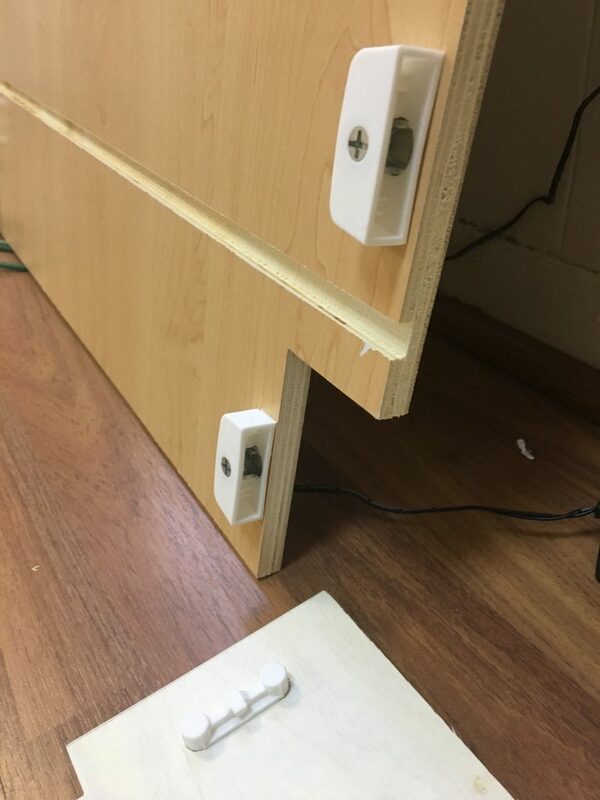 Adjustable in height, the shelf is finished on three sides and capable of being flipped over once one side endures enough scratching and damage. The storage offered by the Arlington is adequate, benefitting mostly from its high-quality drawer and suffering from slightly less drawer depth and a diminutive floating shelf. 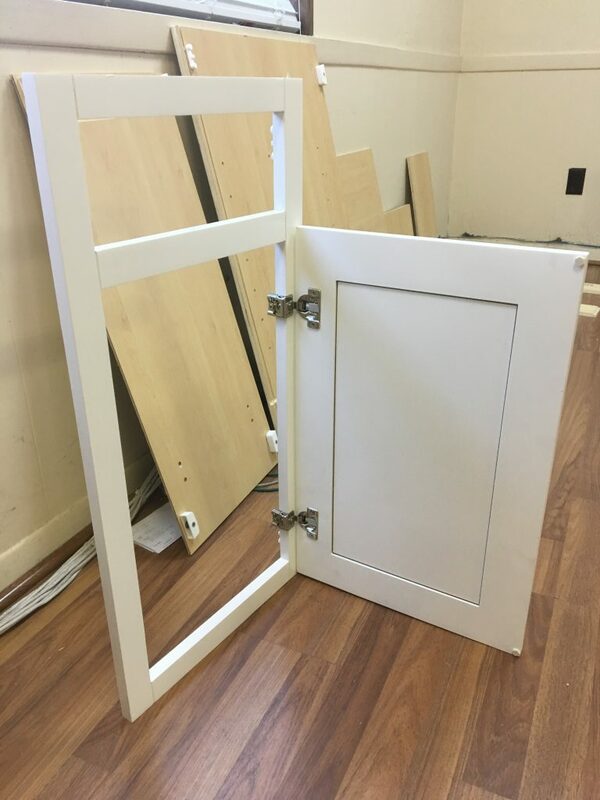 Attached to the door and frame upon the Arlington’s arrival, the hinges of this unit come with the industry standard soft-close mechanisms (SCM). 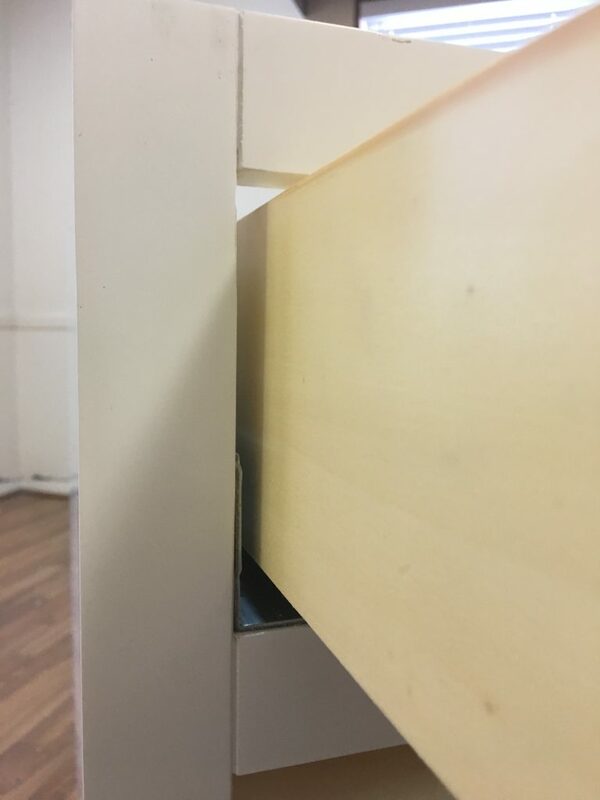 Although they may not be of the BLUM grade quality that is regarded as the top in the industry, the hinges are still impressive and durable (Picture 25–below). The drawer slides, as I have previously mentioned, are under mount as well as full-extension with SCMs. 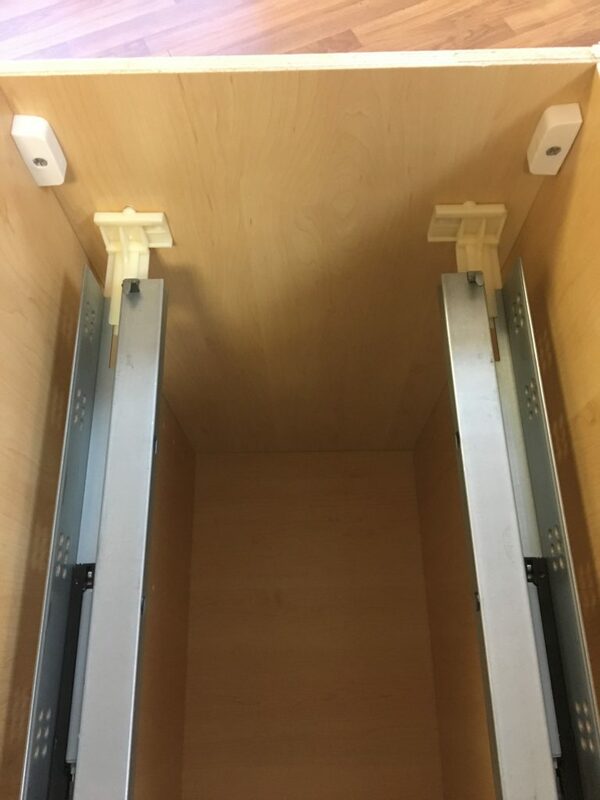 Tracks such as these are quickly becoming regarded as industry standard in RTA cabinets, as they are simple to install and include all the features sought to maximize storage capacity and exhibit quality (Picture 26–right). 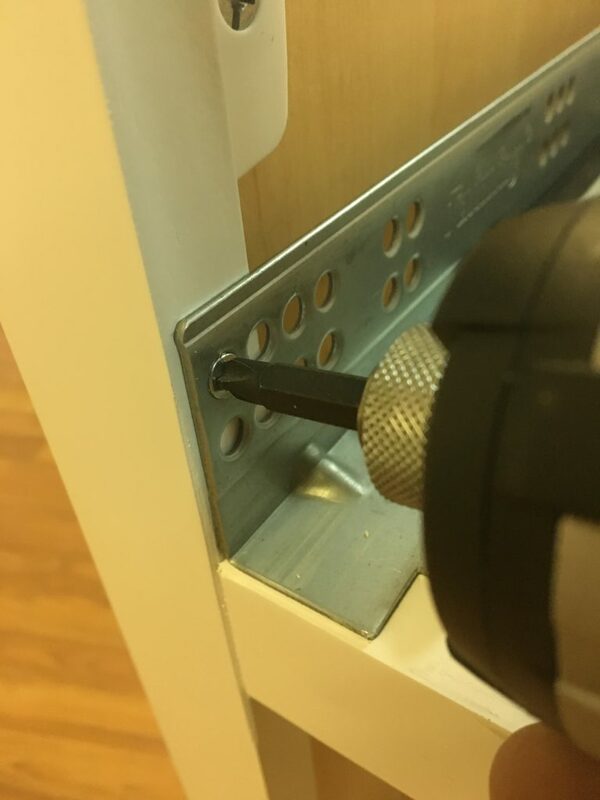 Plastic brackets anchor the drawer glides to the back of the cabinet box (Picture 27—below, left) and the fronts of the glides are secured in place to the frame of the unit with wood screws (Picture 28—below, center). 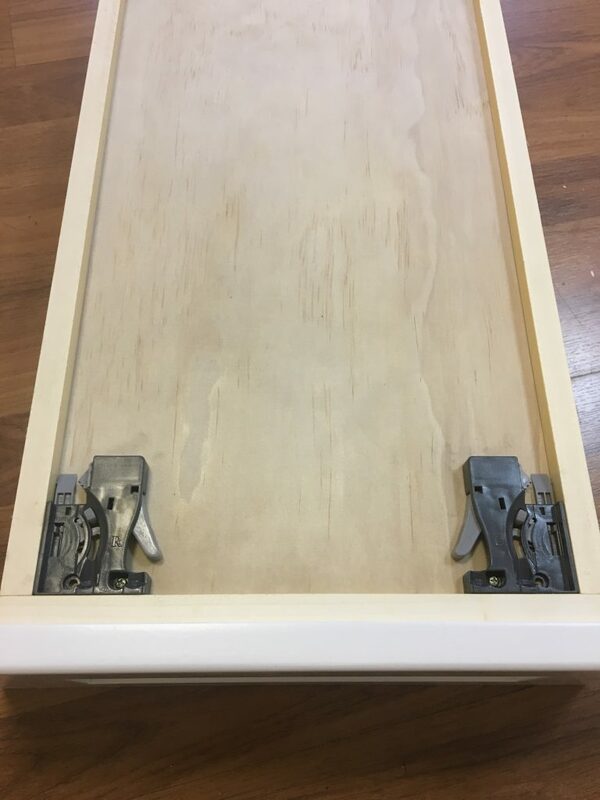 The drawer box itself fits into place along the top slide, with metal pegs inserting into holes at the back of the box attaching it to the slides and at the front, plastic clips fixing the glides on securely while also allowing the box to be removable (Picture 29—below, right). 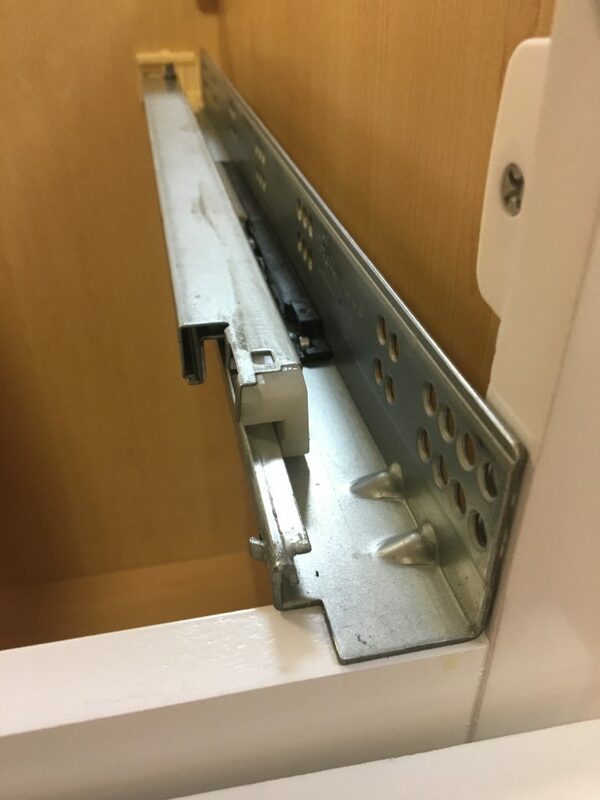 As I’ve mentioned, the brackets anchoring the drawer glides to the cabinet box are composed of a hard plastic and hold the tracks securely in place (Picture 30—below, left). 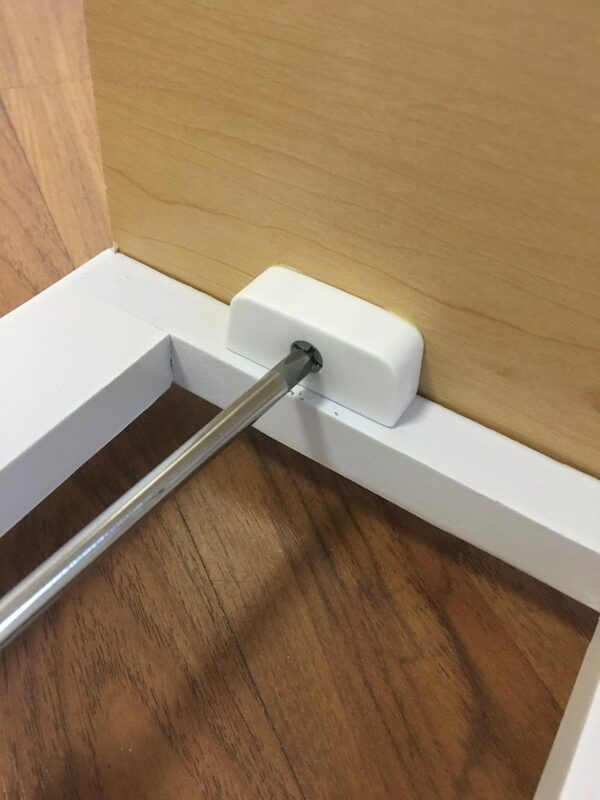 Supporting the shelf in the box are four metal pegs, adjustable in height and made of a strong material (Picture 31—below, right). The only downside to these metal pegs is that the shelf fits upon them awkwardly, feeling as if it will fall off in the event items are too heavy or unevenly distributed on its surface. The side and back panels attach to each other and to the frame of the cabinet with plastic cam locks, built in the same design as several other cam locks I have run across in these reviews but with a harder, more solid plastic housing surrounding the cam lock itself (Picture 32–below, left). 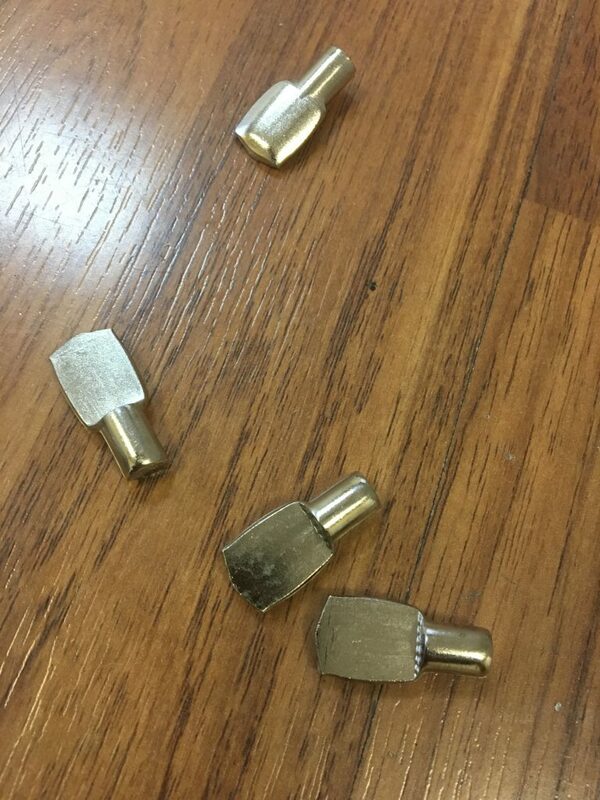 These lock into place by turning the lock clockwise with a Phillips head driver (Picture 33–below, right), but the metal used for the lock itself strips easily so I recommend hand tightening to avoid damaging the locking mechanism. 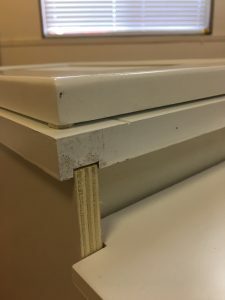 Plastic corner braces give added stability to the cabinet box, which is certainly needed given the warped nature of the side panels (Picture 34–left). Combined with the stronger-than-average cam locks, the corner braces admittedly give the Arlington a sturdiness that otherwise would leave this unit with a lower score. 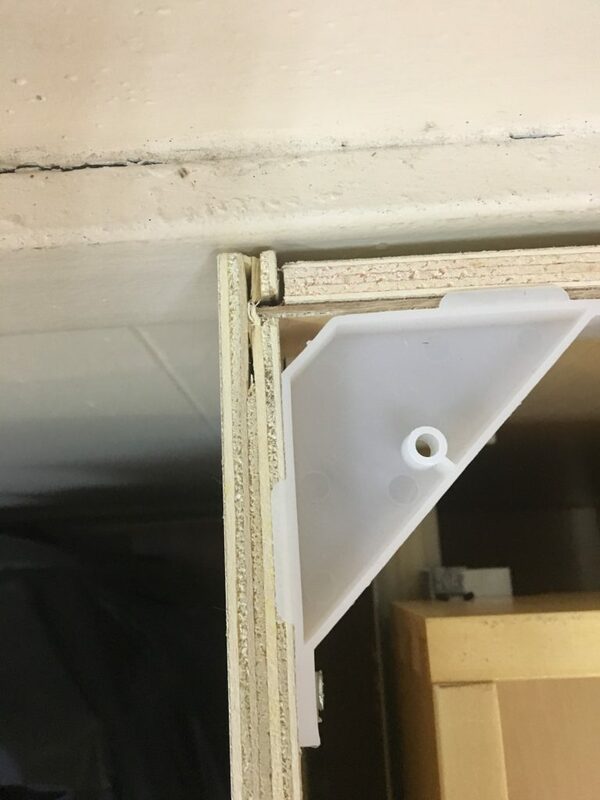 Wooden corner braces obviously provide a more reliable and solid build to the cabinet box, but the plastic corner braces still efficiently accomplish the job. 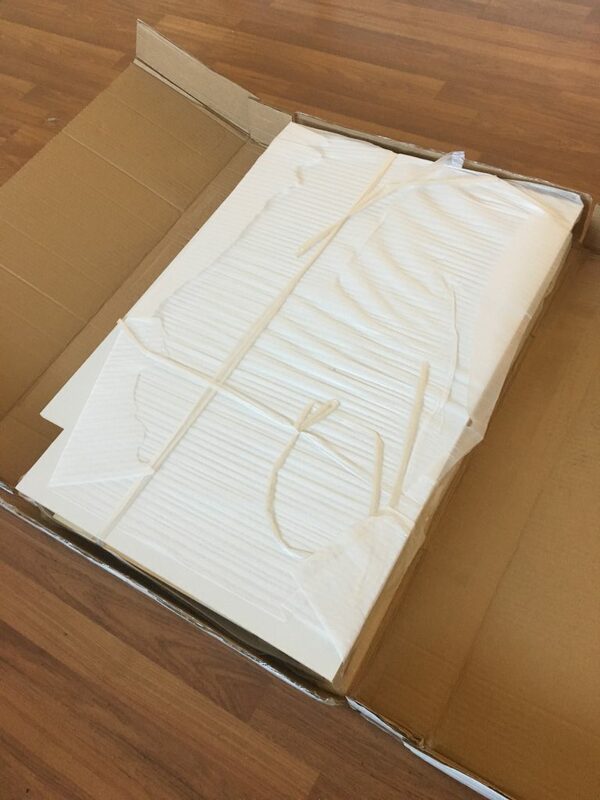 Double corrugated cardboard encases the pieces within the package as it is shipped from RTAcabinetstore.com (Picture 35–below, left). 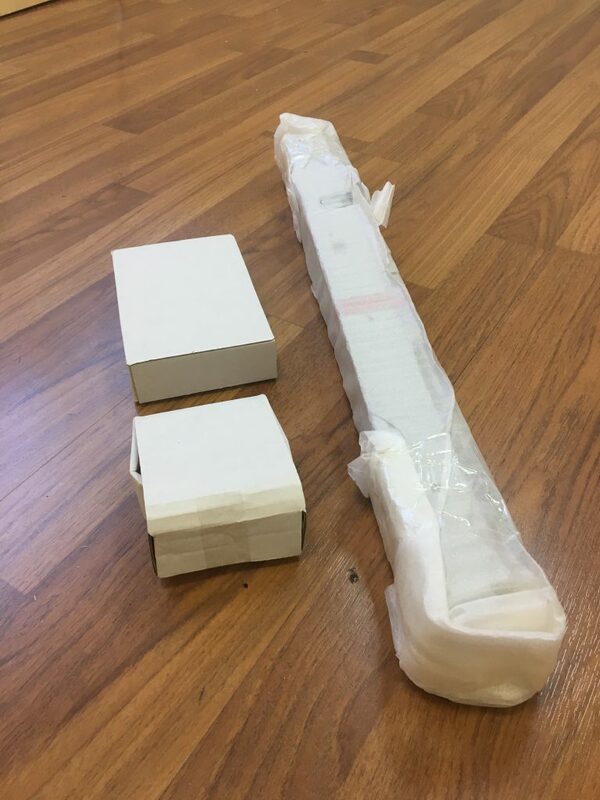 The side, back, and bottom panels are separated and wrapped in thin Styrofoam sheets, but there is no thick Styrofoam protecting the unit pieces as I have seen in the packaging of many other White Shakers (Pictures 36, 37–below; center, left). 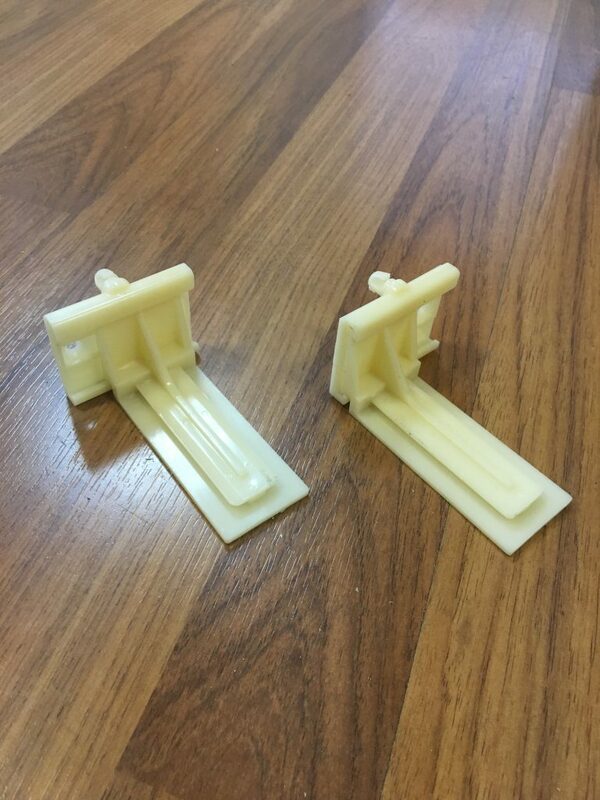 The drawer glides are wrapped separately from the rest of the material, and the hardware is separated into two cardboard boxes (Picture 38—below, left). 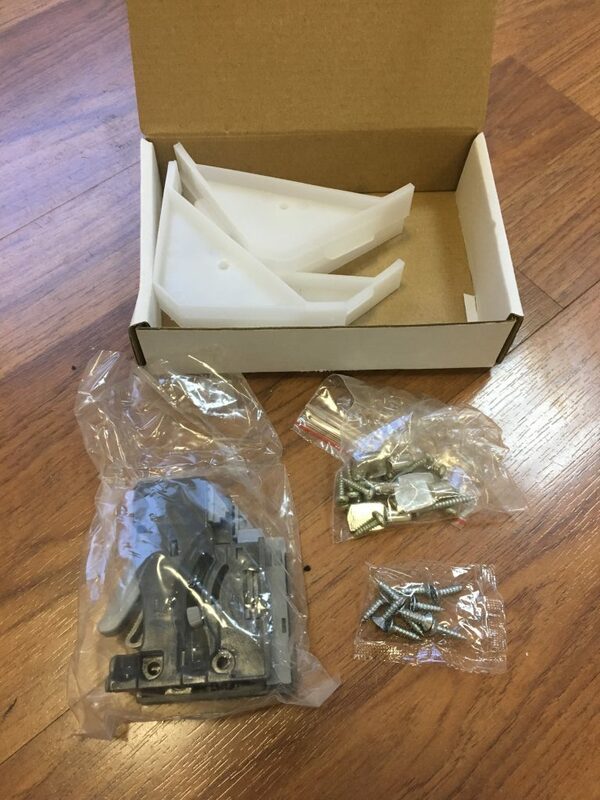 Within these smaller cardboard boxes, the hardware and plastic corner braces are organized separately and in plastic bags to keep tracks of these smaller pieces (Picture 39—below, center). 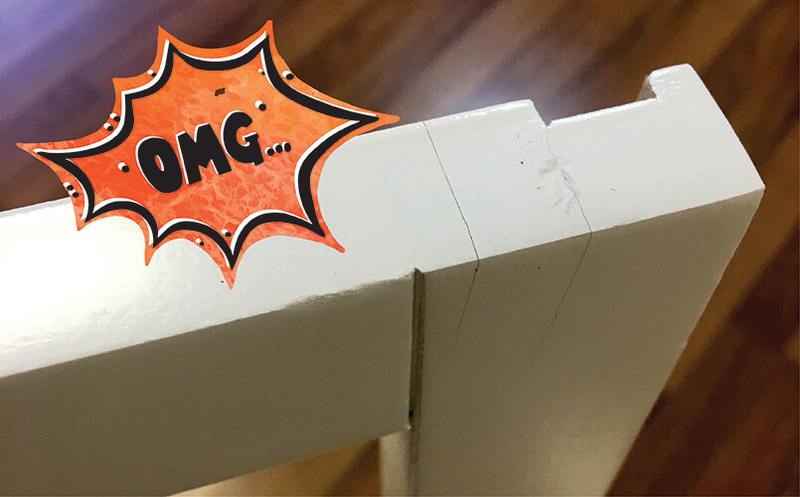 On the side panels, however, are some minor dings in the plywood; these don’t affect the functioning of the cabinet itself but still, illustrate both the haphazard packaging and the thin nature of the plywood used for the panels (Picture 40—below, right). Most notable is the lack of any instructions included with this unit. With no instructions, the Arlington White Shaker still remains a simple assembly. I had no issues assembling this unit by myself, needing only a Phillips head hand driver and a power drill. 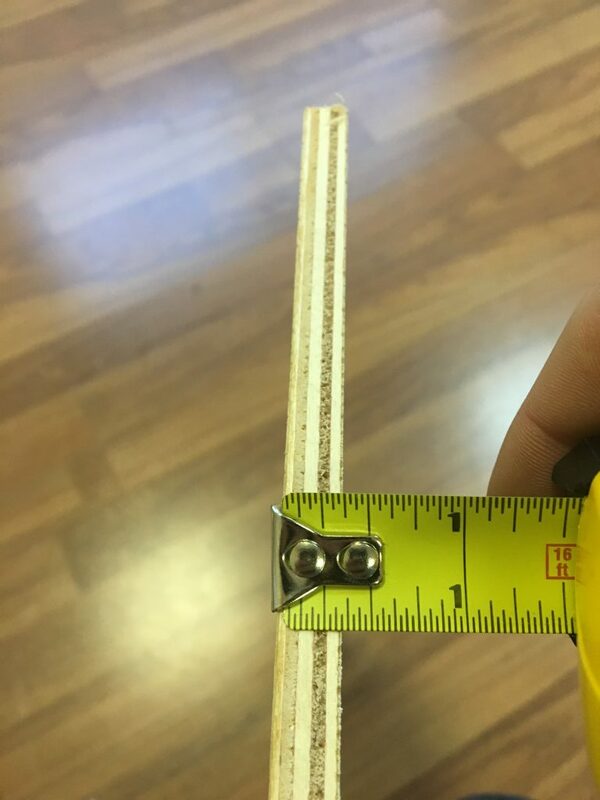 The tongue and groove joints, as I mentioned previously, fit together awkwardly because of the low quality nature of the plywood (Picture 42–left). Organizing the hardware, although it comes in two separate plastic baggies, is slightly confusing because there are three different screw sizes and no indications on where each size is intended to fit. 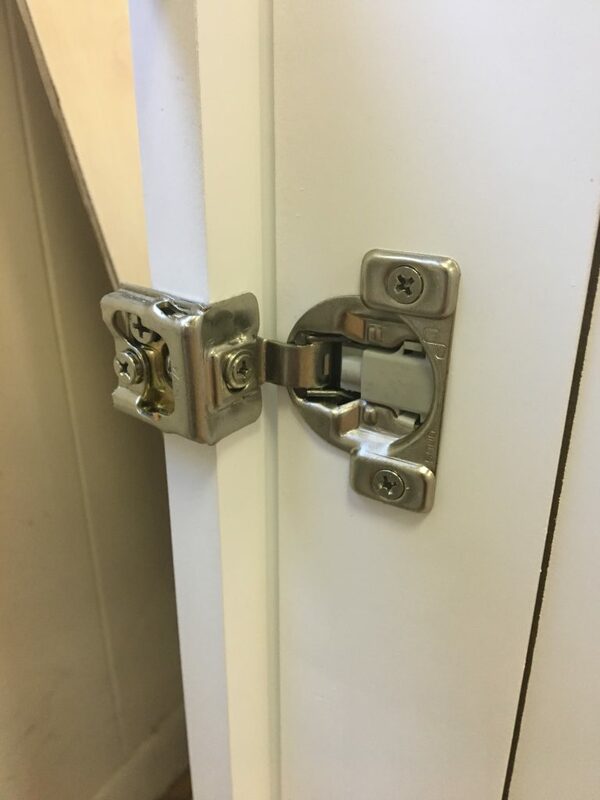 On the other hand, the cam locks unquestionably allowed for an easy assembly and saved heaps of time (Picture 43–above, right), in addition to the door arriving pre-assembled to the cabinet frame. 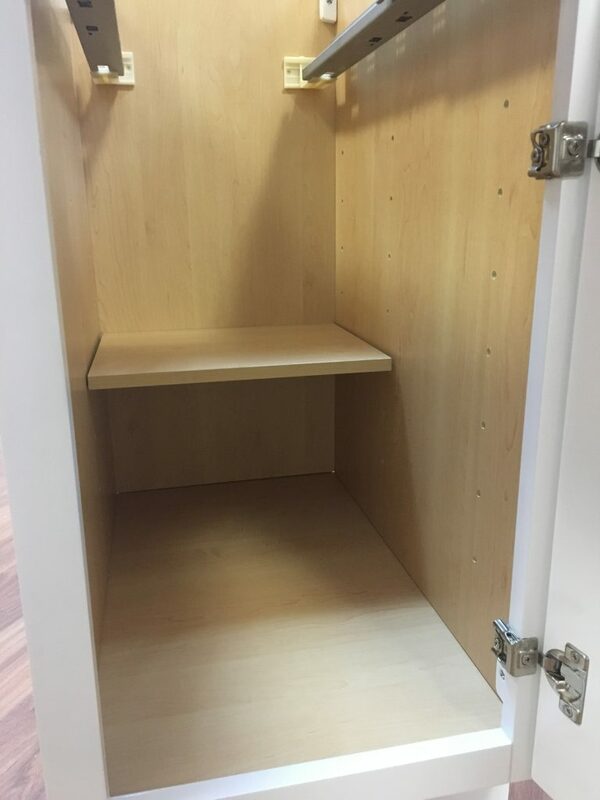 At the completion of the assembly process, the Arlington comes together to present a cohesive, clean cabinet unit. 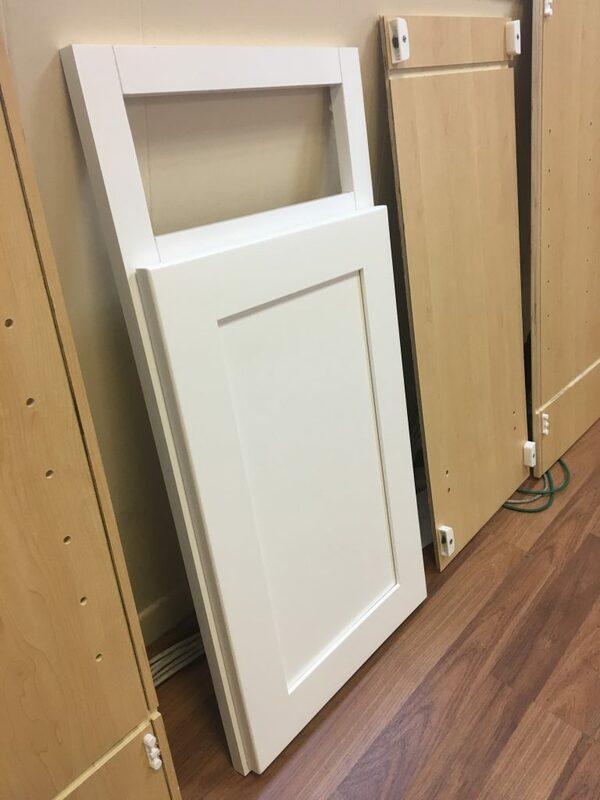 RTA Cabinet Store offers a plethora of White Shaker varieties on their website, and the website itself is easy to navigate between these varieties. No live chat is available but the option to leave a message with their Customer Support team exists. Each time I have attempted to leave a message, it has taken several days for their team to return my inquiries. When they do respond, they are accommodating and want to assist. Sustainable, well-manufactured hardware—hinges, drawer glides, and cam locks—that are dependable and include SCMs. 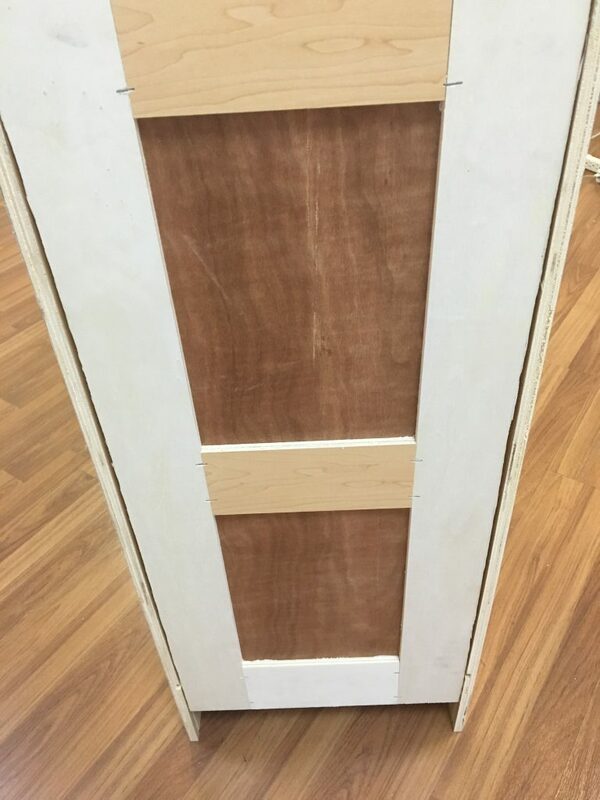 Low-quality plywood composing the side, back, and bottom panels of the cabinet box; warped side panels, a thin bottom panel, and discrepancies throughout the wood illustrating a lack of durability. 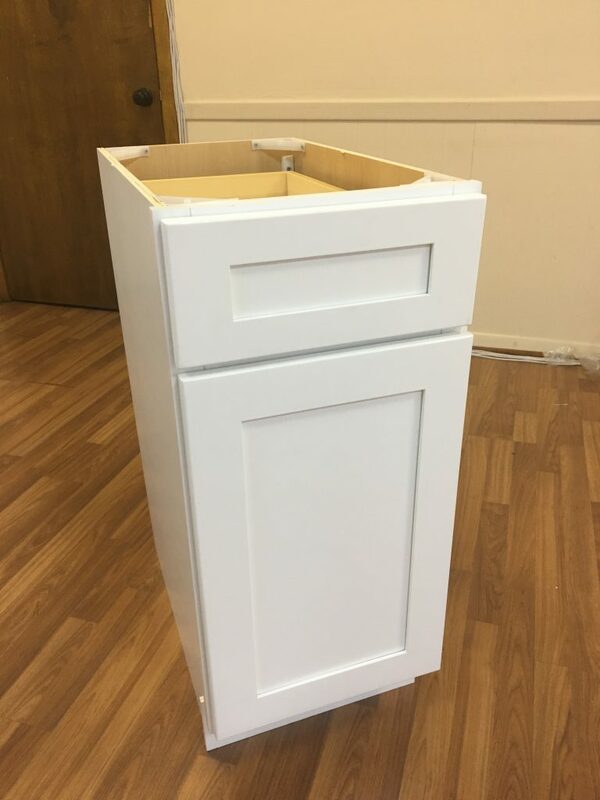 While the Arlington White Shaker definitely has its disappointing attributes, I have to admit that for the current retail price of $121.09 for the B15 unit is possibly the best deal for the quality cabinet you are receiving. 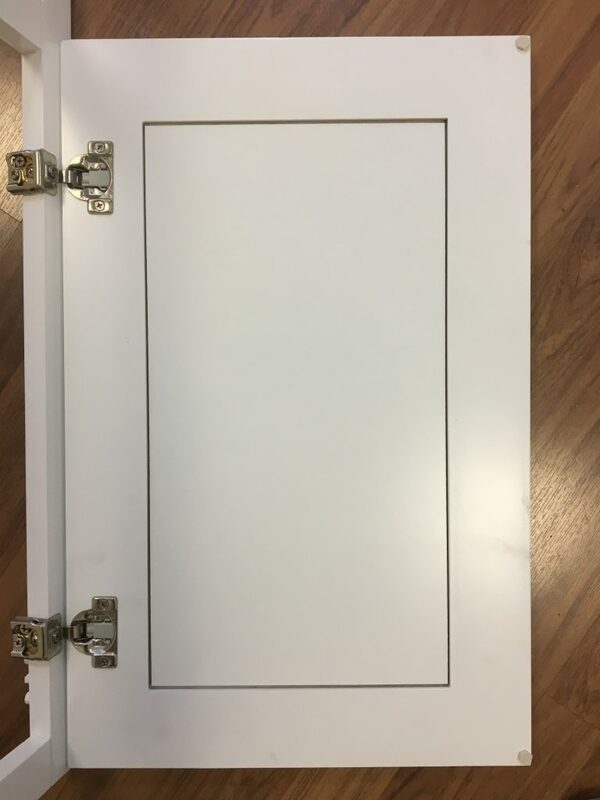 If you are in the market for a White Shaker complete with SCMs on the hinges and slides, a decent coat, and solid drawer box but are willing to overlook the poor quality plywood composing the box, then have the Arlington as a top candidate on your cabinet list.